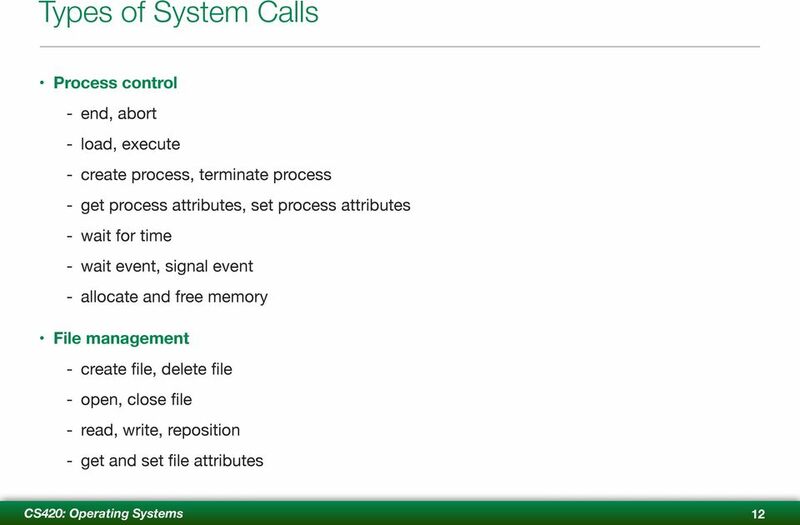 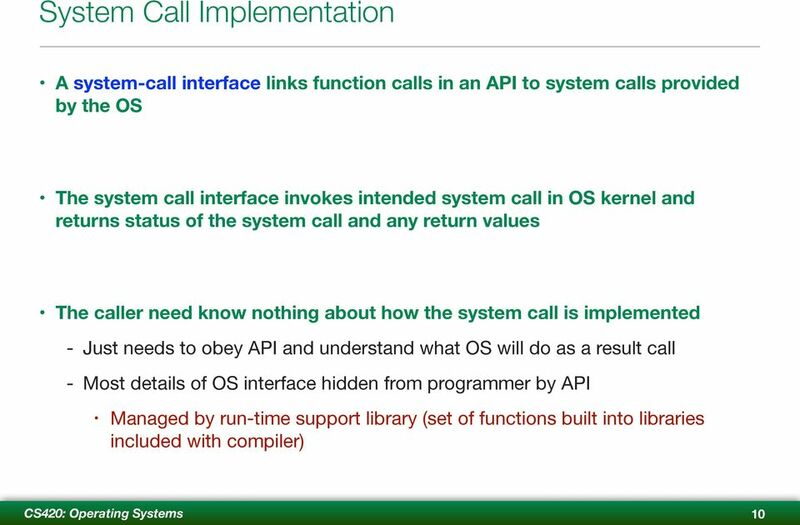 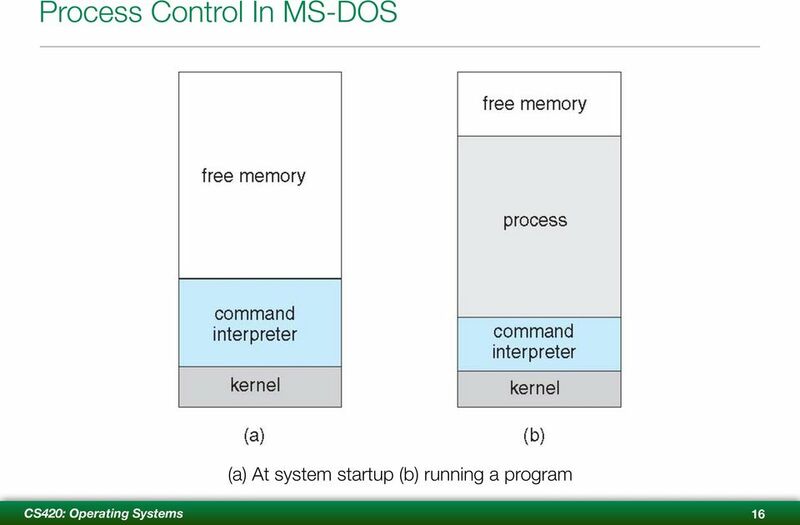 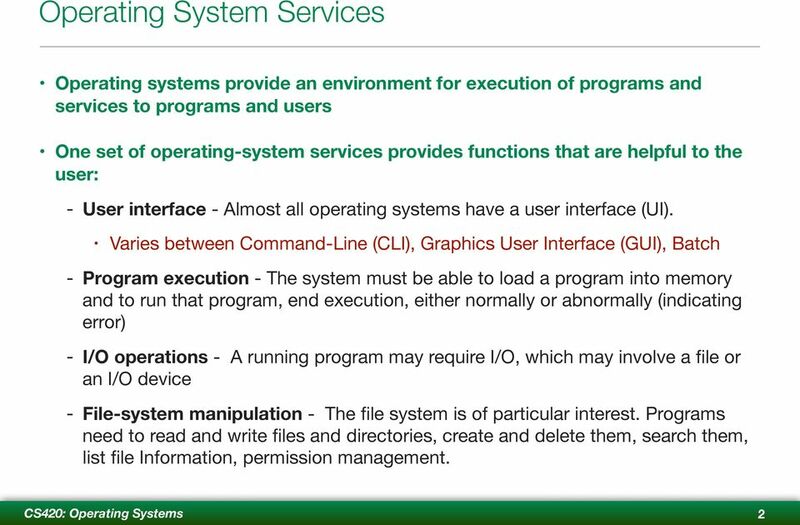 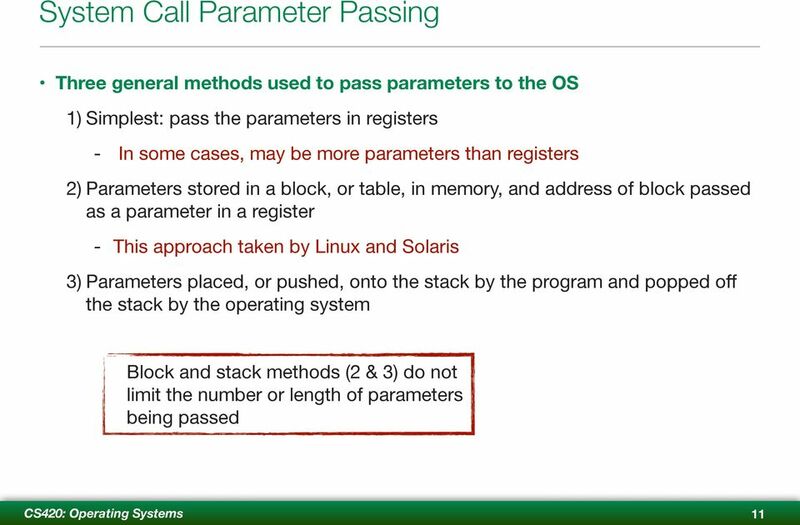 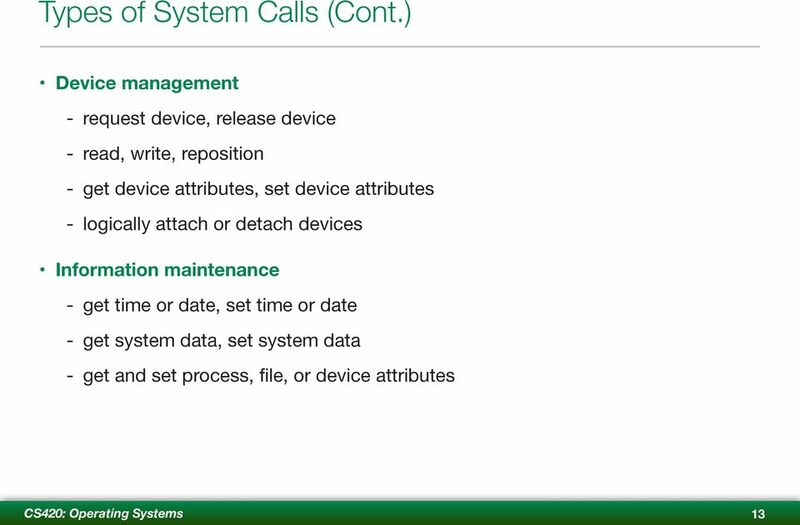 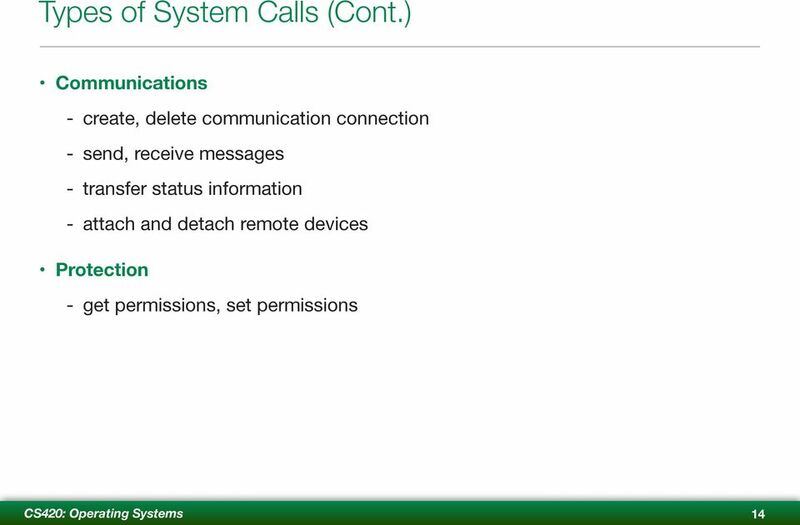 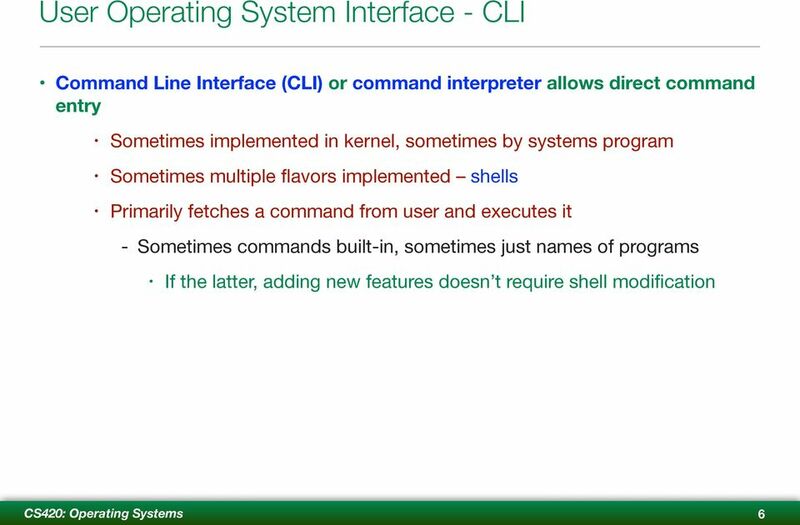 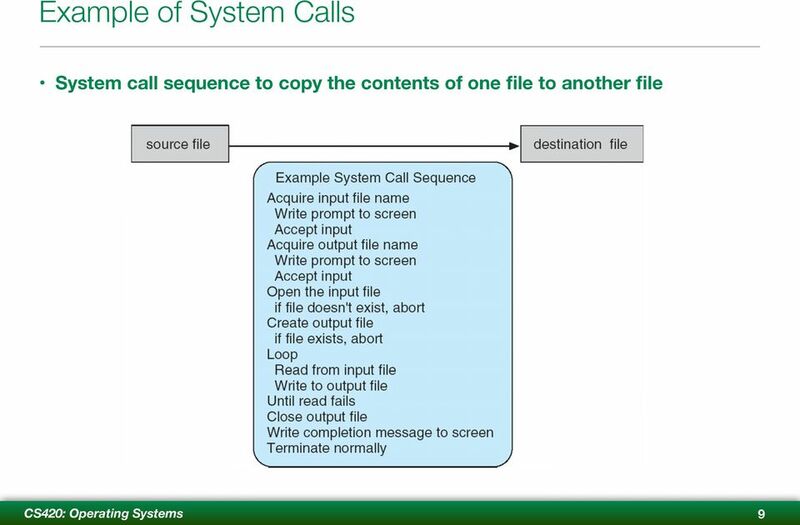 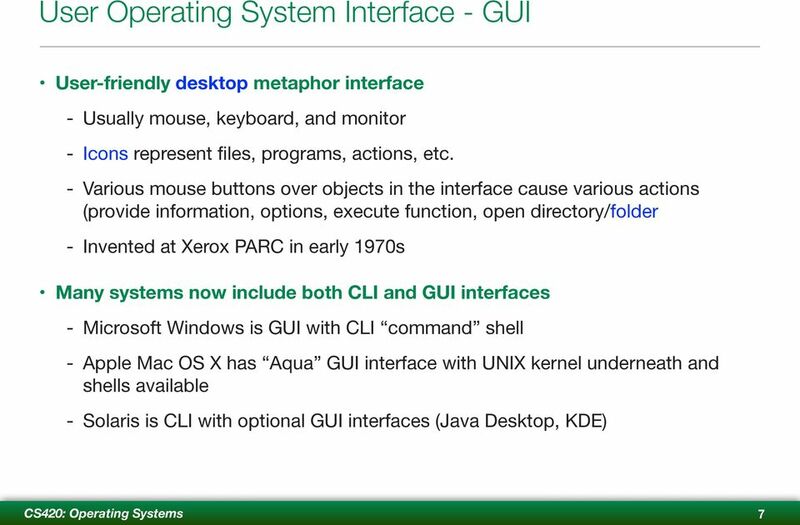 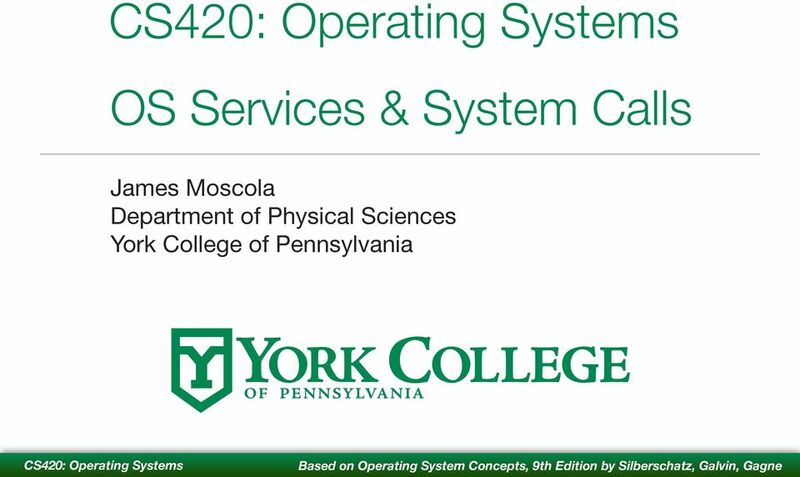 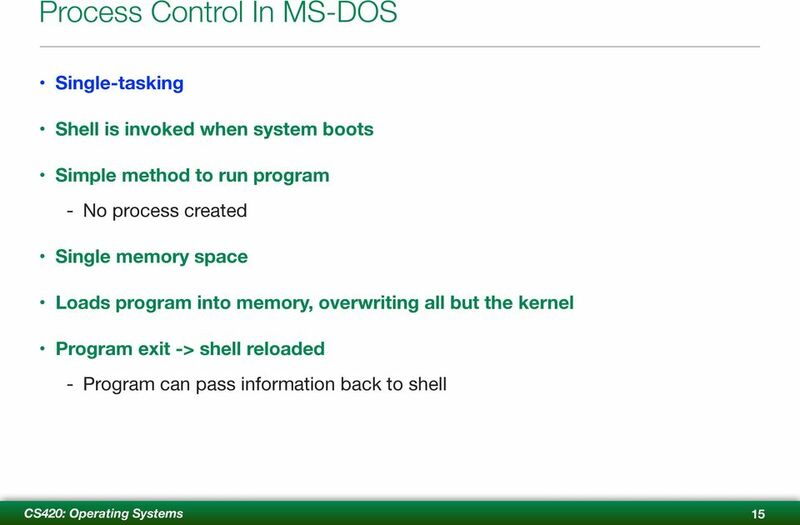 Download "CS420: Operating Systems OS Services & System Calls"
System Calls. 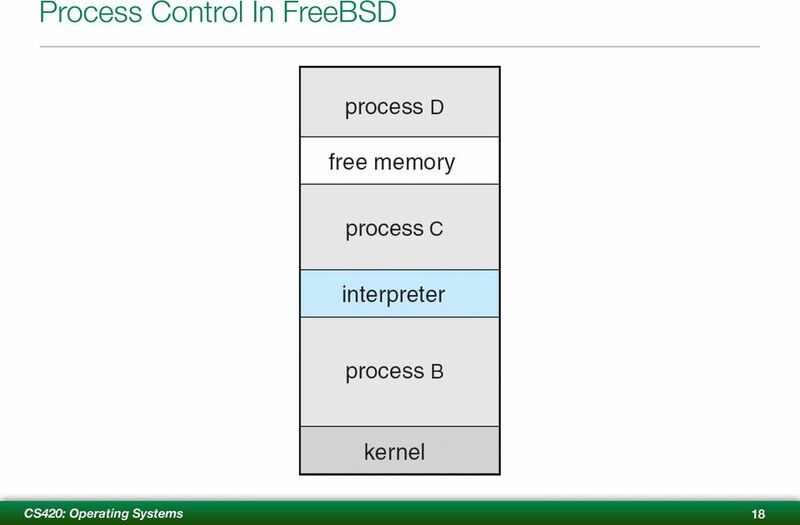 2.1! 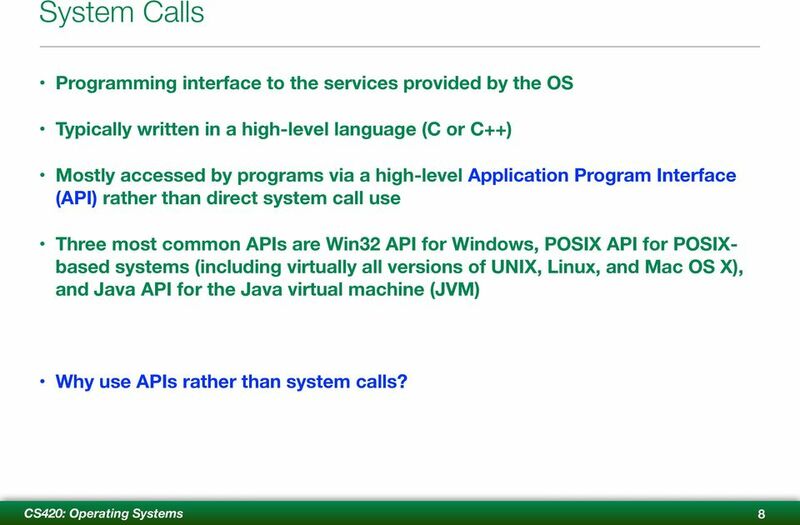 Silberschatz, Galvin and Gagne 2013! 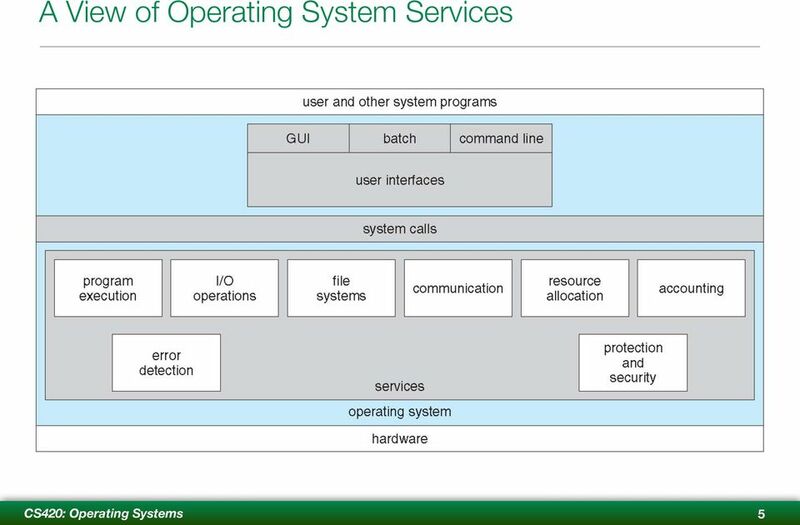 Operating System Concepts Essentials 2 nd Edition! 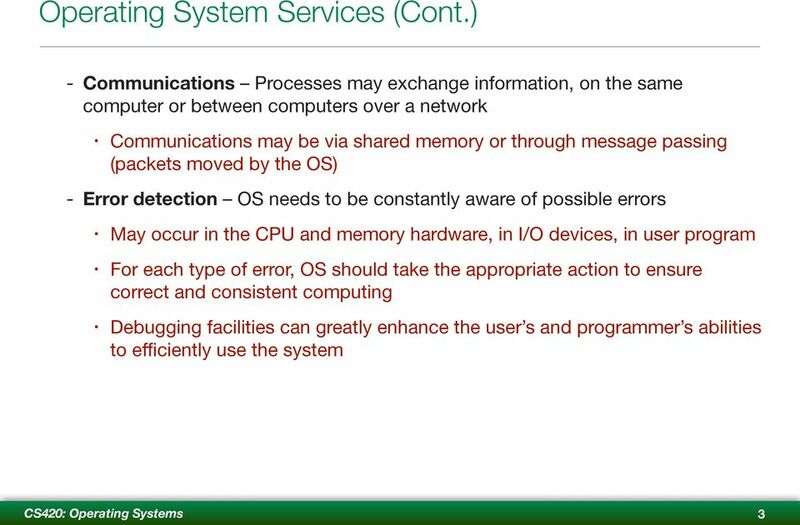 The Hong Kong Polytechnic University Industrial Centre Knowledge Update Course for Secondary Computer Teachers Computer Organisation Operating Systems Edward Cheung email: icec@polyu.edu.hk 24 July, 2003.